Official Buffet replacement Clarinet mouthpiece cap in silver plate. 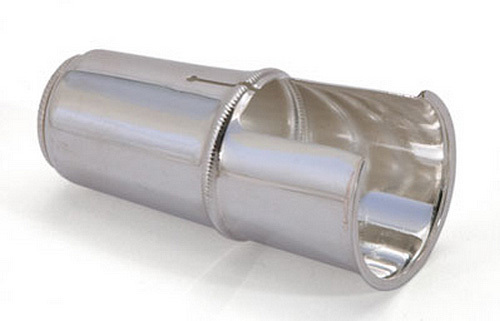 This metal cap is strong and will protect the reed and mouthpiece from sustaining any damage when not in use. This cap is designed to fit over a Buffet silver plated ligature but will fit over most other standard metal two screw classic design ligatures. Made of metal to ensure longevity and maximum protection. Matching Cap for Buffet Clarinet Ligature (sold separately). Will also fit over most other standard 2 screw style clarinet ligatures but not fabric types.